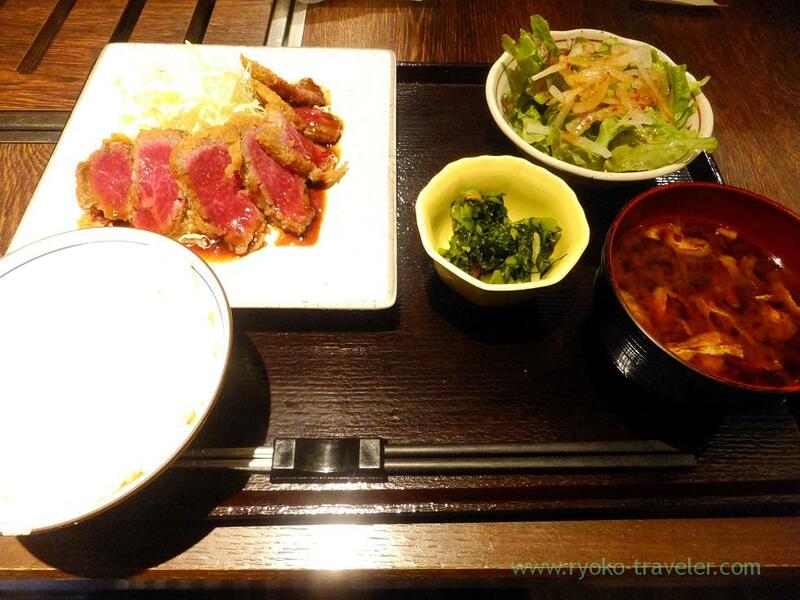 Yamagata local foods restaurant have various lunch sets having Yamagata beef. Lately I was so busy studying for TOEIC. I have an exam this weekend 🙁 . But I already gave up. Of course I’ll take the exam, but I won’t be able to get a score of over 900. By the way, I don’t make my bento for lunch break and go out in lunch hour recently. There are still too many restaurants that I haven’t been yet. I intended to go to a yakiniku restaurant in Tsukishima that day. I was looking and looking… but ! I couldn’t find the restaurant. What is the construction site ? I was anxious that I might not be able to have lunch at this rate. I searched for some restaurants that are open. Then I found the restaurant by happen. This was one of the restaurant that I had wanted go for a long time. I knew that restaurant serve yakiniku at lunchtime, too. But there was no time to eat yakiniku ! I had no time ! I couldn’t have much time to grill meat ! I checked the menu except yakiniku and unexpectedly I could find some foods. I hesitated the high price of those foods just a little. But there was no time to hesitate. Anyway, I entered the restaurant. 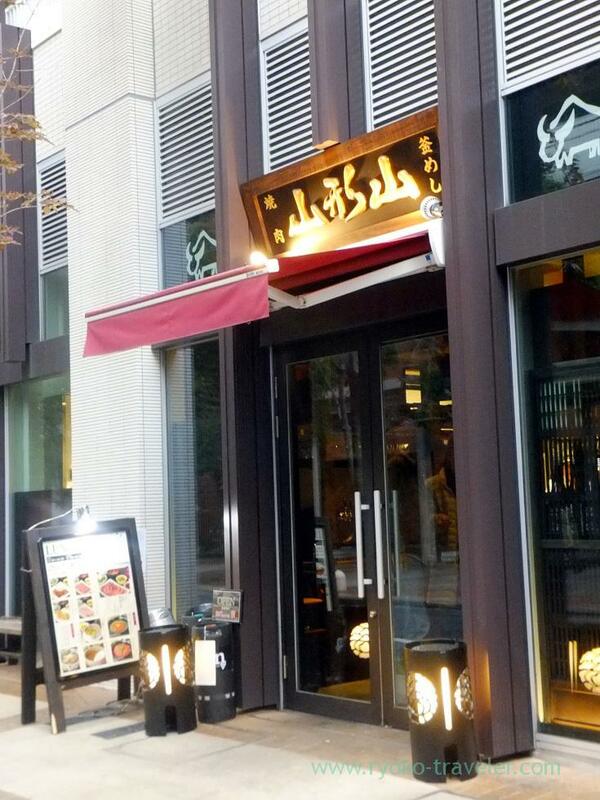 This restaurant serve Yamagata beef. 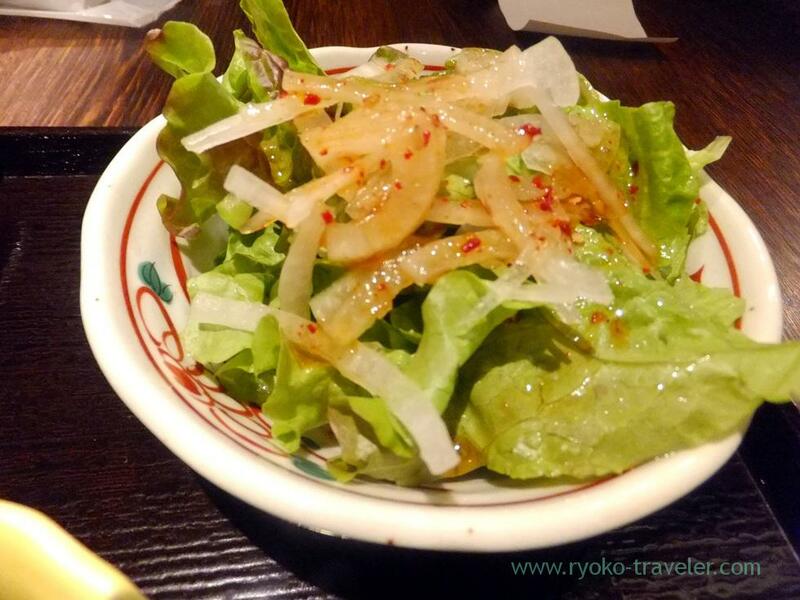 Not only Yamagata beef, but also they serve Yamagata local foods. 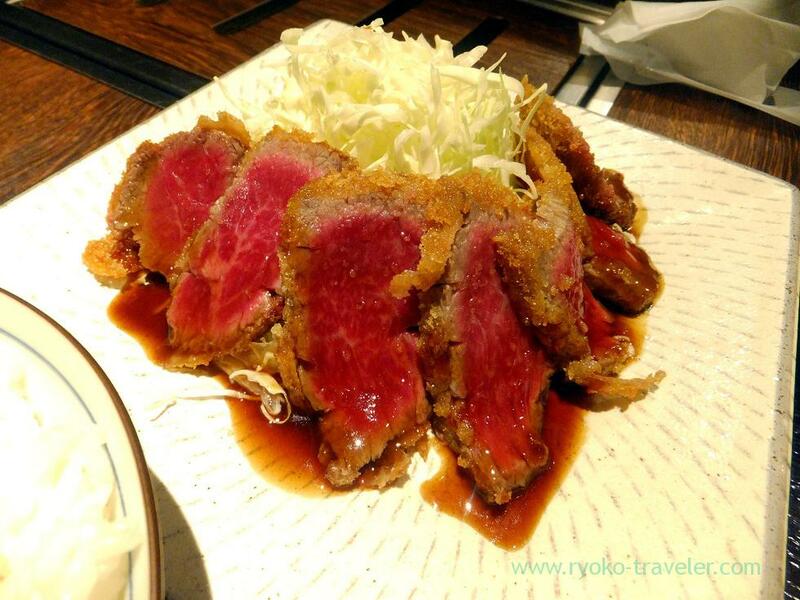 I ordered Yamagata beef cutlet set (山形牛 牛カツ定食, 1380 yen). It’s more roast beef cutlet than beef cutlet ? Recently, I can’t eat fatty meats…. so such a lean meat make me feel comfortable. But those were tough meats. It was hard for me to bite off. It had tasted lightly and good. But I wanted the chef cut those meat smaller, or I needed knife. My mouth is smaller ! This salad had tasty dressing. I want to try next time ! Anyway, I was very happy to manage to have lunch ! But english language is very hard to understand. I also think I needed steak knife. Especially for ladies.